If you have an aptitude for business and accounting, the career of a CPA is a good choice for you. Becoming a CPA is a journey with challenges along the way, but the rewards that you will reap at the end of it are worth the effort. Only the most dedicated and enterprising students complete their 150-credit course to sit for the CPA exam, and of them, fewer than half pass the exam. This places successful students at the top of the talent pool in business and accountancy. A CPA is a Certified Public Accountant, and the role of the CPA involves offering financial advice to individuals, organizations and businesses to help them execute their business plans and achieve their financial goals. Once you have obtained your CPA license, a world of satisfying and lucrative opportunities will open up to you. 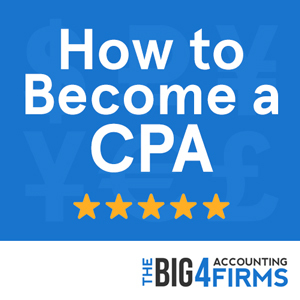 Knowing the steps involved in becoming a trusted and respected CPA can help to make the journey to reach your goal much easier. The first step is to obtain the right education. An accounting degree is required to further pursue a CPA license. In general, you are required to complete 150 semester hours in an accounting course at a school of your choice. As per the latest rules, a 2-year Associate Degree in Accounting or a 4-year Bachelor’s Degree with an Accounting major (typically 120 credits) will NOT make you eligible to sit for the CPA exam. 120 credits were enough at one time, but most states require a 150-credit course today. You can check out your state board of accountancy to find out the eligibility for your state. A bachelor’s degree in accounting from a university or college known for its excellent undergraduate or accounting program, plus an MBA degree in a prestigious school (after graduation) or a graduate degree in taxation (after an accounting degree). The 120 credits of a 4-year Bachelor’s Degree along with credits earned in high school through PSEO or AP courses. As you can see, preparing early enough in high school by completing AP (Advanced Placement) or Post-Secondary Enrollment Option (PSEO) gives you a head start in pursuing your CPA goal. There are plenty of excellent accounting schools in the US that offer top quality degrees. Look for accounting programs accredited by the AACSB International or recognized by your state board of accounting. Also look for colleges that have a high percentage of students who pass individual sections of the CPA exam and a high percentage of those who pass all sections of the exam. Along with maintaining a high grade point average, you should also join a student organization such as student chapters of the Institute of Management Accountants (IMA), a chapter of Beta Alpha Psi or an accounting club. Your participation will showcase your communication and leadership skills, which recruiters for firms like the Big 4 (Pricewaterhouse-Coopers, KPMG, Ernst & Young, Deloitte & Touche) and others will be interested in. You will need on-the-job experience to build up your resume and gain valuable knowledge in your field before you can sit for the CPA exam. Contact your college department to find out if it coordinates any accounting internships. Internships can help you narrow your focus and network at the same time, and can even lead to permanent positions after graduation. A VITA program (Volunteer Income Tax Assistance) sponsored by the college can also help you earn experience (and possibly credits). Question types include simulation, multiple choice and written communication. The test is uniform across the country, no matter where you take it. You need to obtain a score of 75 on a scale of 0 to 99 in order to pass the test. 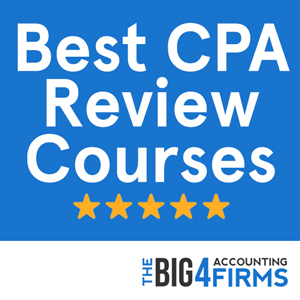 There are review courses to help you prepare for the CPA exam. 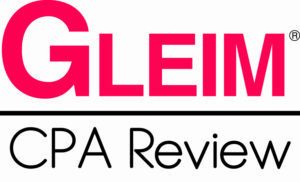 The best of these include Wiley CPAexcel, Roger CPA Review, GLEIM CPA Review, Yaeger CPA Review and Fast Forward Academy. The courses can cost up to $2000, so be sure to choose wisely. These courses include video lectures of over 100 hours, plenty of practice in multiple-choice questions, task-based simulations, audio courses and more. Roger CPA offers a financing option, and most of the courses offer unlimited access or at least 18 months of access. All have mobile apps and great customer service. Besides these, there are other review courses you can try, but the best course will give you the best preparation for your exam. After you have passed the CPA Exam, you can work to obtain a license for a CPA in your state. A license gives you the right to practice public accounting. Check your state accounting board for the eligibility requirements of a license. Most states require 1 to 2 years of experience under a CPA. Additionally, the nature of your experience – whether in a public accounting firm or the industry, and the type of work, whether auditor or tax professional, will influence the eligibility. Note that some states require you to take an ethics exam to ensure that you know how to comply with professional conduct. Your journey does not end there. In order to number among the best in your field and live the life that you choose, you will need to maintain your license with Continuing Professional Education (CPE). Your state requirements for this will vary, from classroom or group learning to computer-based learning that should typically span about 40 hours a year. The subjects you take will also depend on the license you have and your specific area of work. Your license will also need to be renewed every period. To make your resume even more impressive, you can also become a student affiliate member of AICPA which will keep you in the loop about industry news and research, offer discounts on conferences, scholarship opportunities, discounts on services and products from partners and more. You can also choose to become a member of your state society for other benefits. If you are prepared for the long haul, start focusing on your education right now, make note of your state requirements, and begin planning for your bright future as a respected member of society.